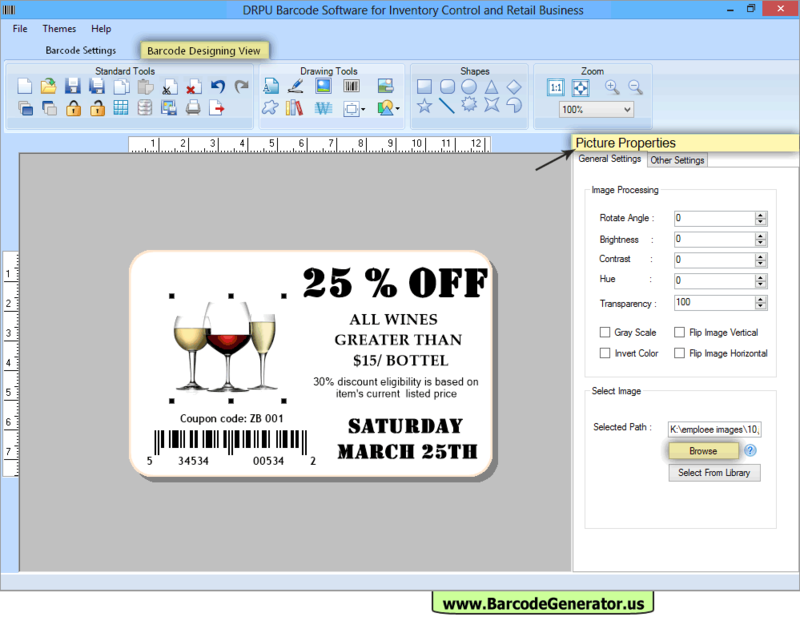 With the help of "Picture Properties" , You can add images on your label. Using Text Properties, you can modify Font of the text written on your Label. 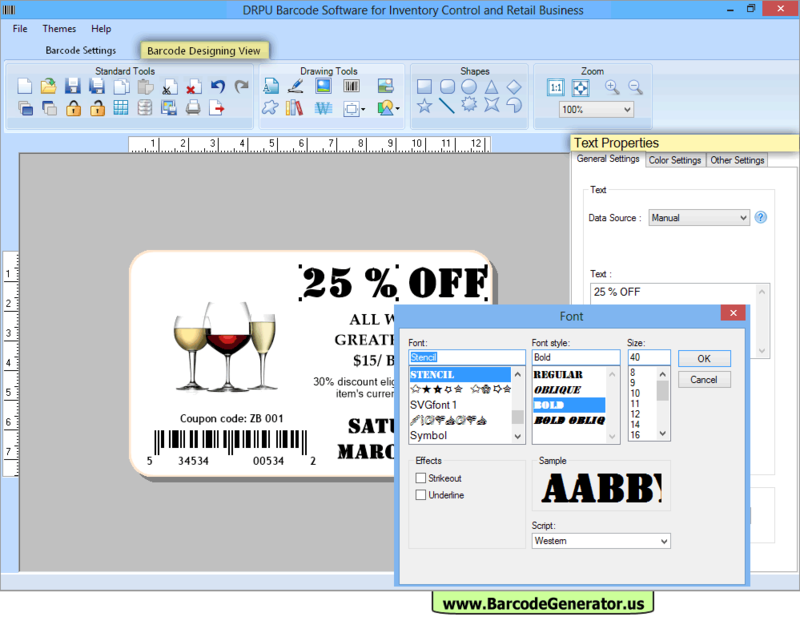 Go to the print button in 'Barcode Designing View'. 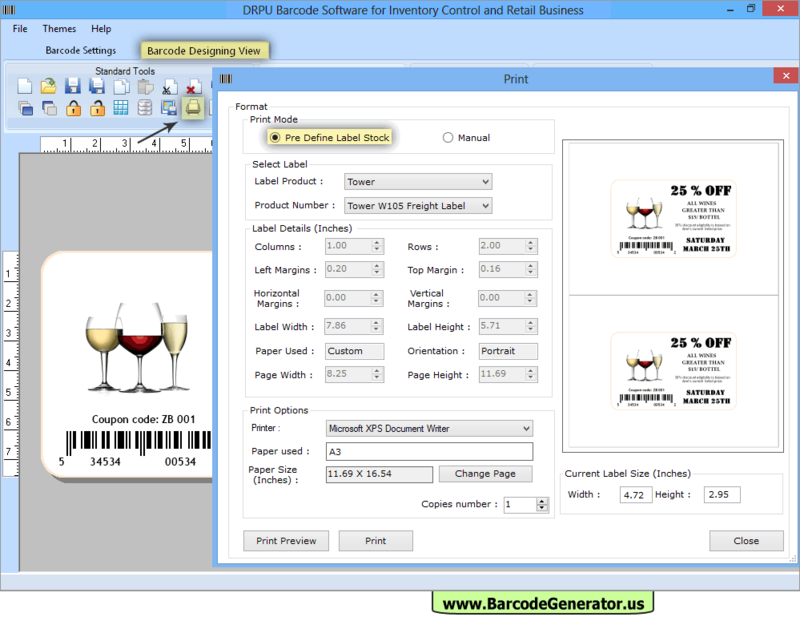 Choose print mode, set print settings and click on print button to print your labels.